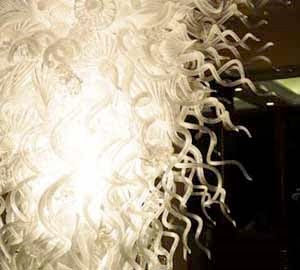 Robert Kaindl has created a stunning blown art glass chandelier, his Signature Collection of Premium Custom Blown Art Glass has a unique impression. This unique piece of art is very compatible for almost every interior designs style, it matched with the modern contemporary style and it also a perfect match for classical design. This master piece of art create a fantasy looks and a dynamic feeling in an object itself. Robert Kaindl has created a very detailed art glass with an enchanting looks. 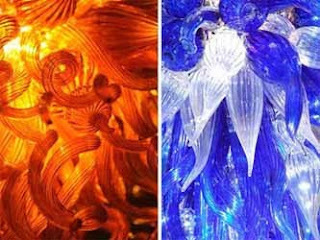 Robert Kaindl uses the Italian Murano glass blowing techniques to shape his unique glass sculptures. His Blown Art glass was inspired by nature, every piece of his creation is custom and hand blown. 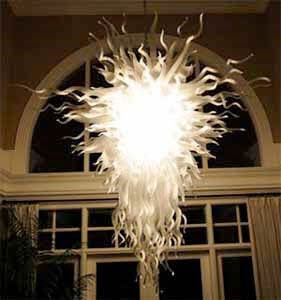 This blown art glass is more than just a chandelier, it’s a piece of art. The artist master piece arts decorated several famous places such as the Las Vegas World Market Center Showroom and Beverly Hills Hotel in L.A. In the next picture we can see the variation of his custom blown art glass, every piece has it’s own charisma that creates a unique ambiance.